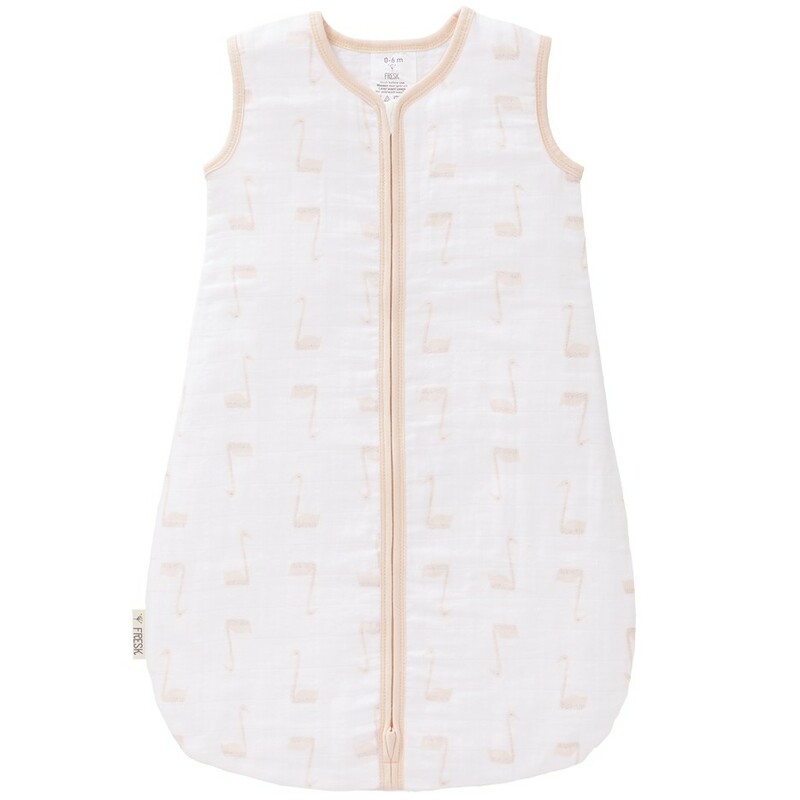 This organic cotton baby sleeping bag is lightweight, made with double layered muslin, making it perfect for summer nights and holidays. 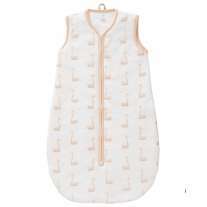 This baby sleeping bag is white with a delicate peach swan design and has a full-length zip to make getting ready for bed easy. This baby sleeping bag comes in three sizes for a perfect fit as your baby grows - make sure that they have room to freely kick their legs. 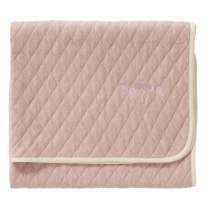 Ethically made with soft GOTS organic cotton, it is kind on delicate skin and eco-friendly too. 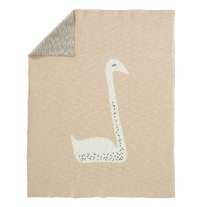 We love the neutral, muted design that will be at home in any nursery. Team up with matching accessories from Fresk at Babipur.